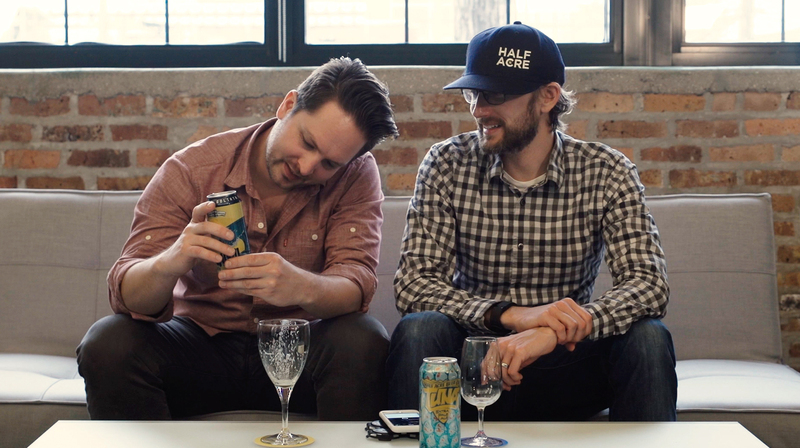 Looking for a good reason to drink some great local Chicago beer? You probably don’t need one… but when you can drink for a good cause it makes it a little more meaningful. 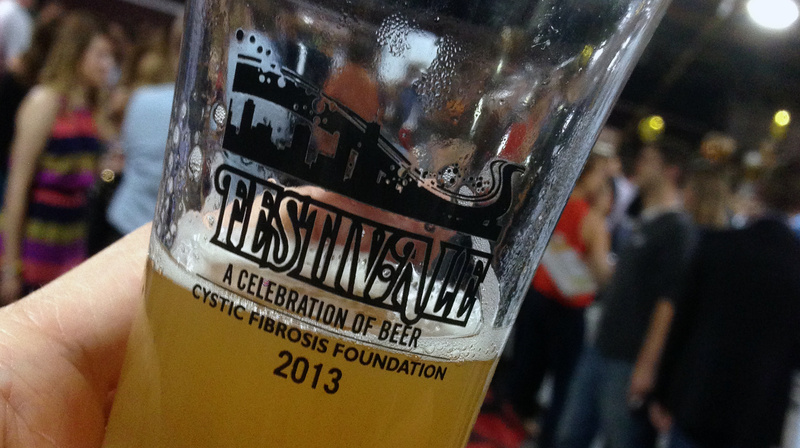 This past weekend was the 7th Annual Festiv-Ale held at Carmichael’s Steakhouse. This festival supports the Cystic Fibrosis Foundation and features a number of items up for silent auction. The number of breweries at the event was rather impressive, some of your old favorites like; Haymarket Pub, Half Acre, Goose Island, Solemn Oath Brewery and 5 Rabbit. I say old only because the amount of newer breweries at the event was crazy. So even through many of these breweries have only been around for a couple years they’ve become the old standby’s. 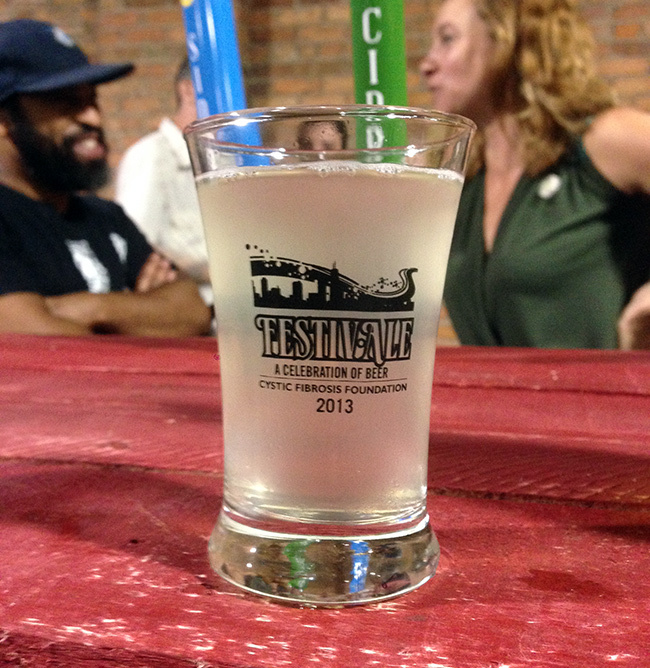 Some of the newcomers at the fest were; Ale Syndicate, 18th Street Brewery, Temperance Beer Company, SlapShot Brewing, Off Color Brewing, Begyle Brewing, and Forbidden Root. I’m sure I’m forgetting a few but as you can see it was an impressive line-up. That beer list would of been worth the ticket price alone but the folks at Festiv-Ale also had restaurant sponsors too giving out food and helping to make sure no one went hungry. You had; Ta-ki-to, Small Bar, Three Aces, Fountainhead, Frontier and more that I didn’t even get to try. Oh! And how can I forget the White Castle that showed up just as the event was ending, handing out sliders to the somewhat drunk guests. Really, the best time to eat White Castle in my opion. Back to the beer for the moment. I was glad to sample some beer from these new breweries especially since I haven’t been able to make it to the awesome launch parties so many of them have been having around the city. If you’ve been paying close attention to the beer scene in Chicago I’m sure you’ve heard of all of these new breweries but a surprise for me was Forbidden Root. 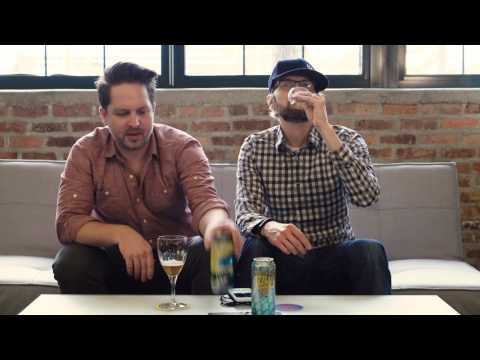 They are a new brewery working with Randy Mosher and they’re brewing heritage-style “beer botanicals” made with roots and other special ingredients. Forbidden Root was pouring two offerings; their Forbidden Root, a root beer or sarsaparilla flavor, but with the quality of a brewed beer. Their second one was the Sublime, a ginger root, key-lime and honey bush brew. Both fantastic! 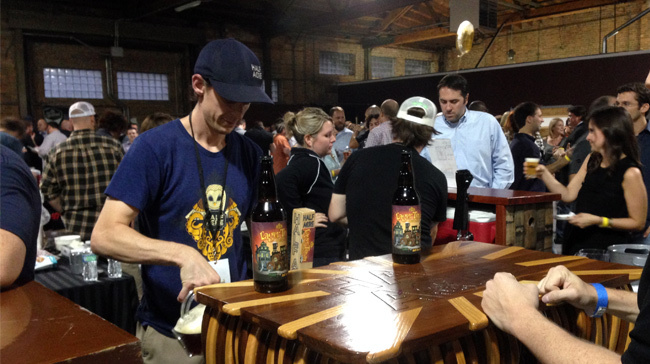 Another surprise was Temperance Beer Company, the first Evantson brewery in 100 years. Claudia Jenron is the brewster there now. Claudia recently left GooseIsland and is already doing some good stuff at Temperance. Both the Pale Ale and Porter they poured on Friday were rather tasty and I went back for seconds. I could tell you more about all the beer I drank that night but really you should have been at Carmichael’s Steakhouse on Friday! If this event isn’t on your radar, it should be. Tickets were $65 for regular entry and $100 for the VIP reception. Maeve Price and I grabbed a couple VIP tickets which included an extra hour of drinking and eating before the regular entry showed up. 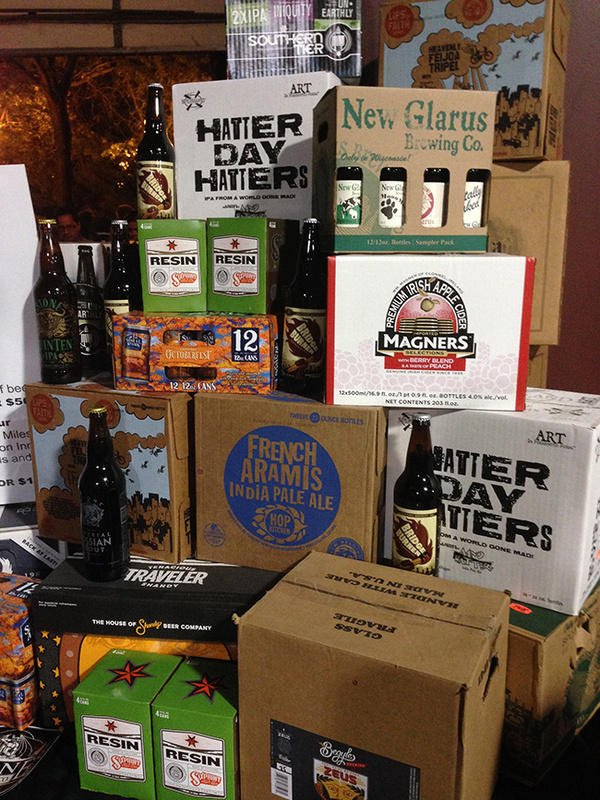 The event ran from 6:00 PM – 11:00 PM; 5 hours of food and beer and all for a good cause. Yes please! The event on Friday was a perfect balance of good people, food, and beer. I never found myself waiting in line for a beer or food; it always helps that I know a lot of brewers who don’t like to see my glass empty but I never saw anyone else waiting either. Although I did see a few familiar faces like Nik White of Chicago Beer Geeks & Steve Mastny of Beer Download, the event brought in a ton of new people into the scene, which is fantastic to see. Seeing all the awesome breweries represented there in one room all pouring for a good cause, being enjoyed by some fine folks; it was a great night for Chicago beer.